The quaint community of Swift Current, Sask., will draw the focus of the hockey world this weekend as it hosts the 19th annual Hockey Day in Canada festivities. This year’s celebration began Wednesday with an array of local events honouring the city’s rich hockey history, including school visits and hockey clinics, and will wrap Saturday following several memorable moments, from displays of the Stanley Cup and Memorial Cup at Riverdene Park, to four televised games featuring Canada’s seven National Hockey League clubs, while Coach’s Corner with host Ron MacLean and the iconic Don Cherry will go live from Swift Current. Additionally, there’s also a Western Hockey League showdown between the provincial rival Saskatoon Blades and Swift Current Broncos. In 1986, the @SCBroncos were involved in a bus crash that killed four of their players. The hometown Broncos feature a number of exciting up-and-comers like 17-year-old defenseman Connor Horning, who sits third in team scoring with five goals and 18 assists this season. The second-year rearguard was recently ranked among North American skaters by the Central Scouting Bureau ahead of the 2019 NHL Entry Draft. 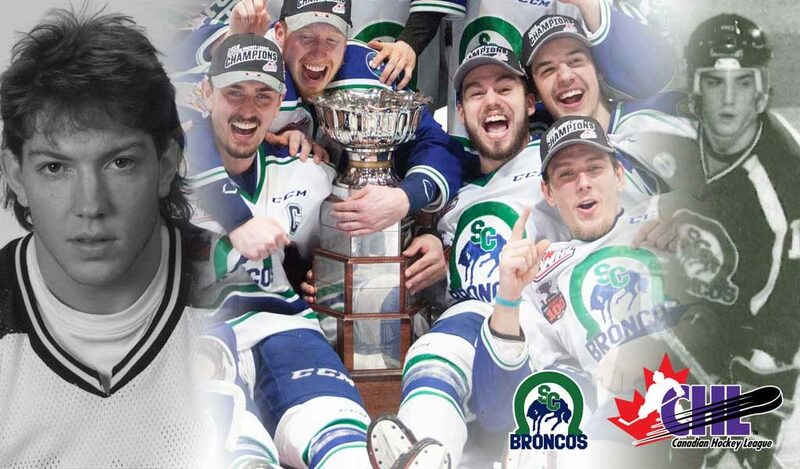 Meanwhile, the Swift Current lineup also counts several returnees from last year’s 48-win squad, like forwards Ethan Regnier and Tanner Nagel, who helped win the Ed Chynoweth Cup as the WHL Playoff Champions before advancing to the 2018 Memorial Cup in Regina. One of the smallest communities in the Canadian Hockey League circuit, Swift Current has routinely punched above its weight class in forming strong teams that bring pride to the city, not to mention the occasional win as well, as the franchise counts three WHL championships plus a Memorial Cup victory in 1989. The Broncos have also developed dozens of future NHL stars, including two-time Stanley Cup champion and 2012 Hockey Hall of Fame inductee Joe Sakic. On Saturday, the Broncos will face off against the Blades at 5 p.m. local time in the seventh of eight meetups between the two squads this season. The Broncos won the previous contest held two Saturdays ago thanks to a two-point effort from right-wing Joona Kiviniemi, who notched the game-winning goal and helped steer Swift Current to a 5-4 overtime victory. Three other Broncos, including Horning, also put up multi-point efforts in the win. As for Hockey Day in Canada, the event wouldn’t be complete without the Alumni & Celebrity Classic, to be held Friday and including a handful of former NHLers and Broncos alumni. The game will also feature a special tribute to the 1989 Memorial Cup-winning Broncos, with several players from that squad on hand, namely Sheldon Kennedy and Bob Wilkie, as well as Saskatchewan natives Tim Tisdale, Trevor Kruger, and Kimbi Daniels. More than a dozen former NHLers and Broncos alumni from other seasons will also make appearances, including former Columbus Blue Jackets and Boston Bruins forward Jeremy Reich, as well as former Toronto Maple Leafs’ Ben Ondrus and Ian White. Meanwhile, other hockey alumni and celebrities like Lanny McDonald, Darcy Tucker, Saskatchewan’s own Wendel Clark and six-time Stanley Cup champion Bryan Trottier, plus Swift Current native Travis Moen will also take part in the hometown celebration. Undrafted in the WHL, it took all of Swift Current (@City_SC) native Travis Moen (@32trapper)’s determination and drive to make it to the @NHL.